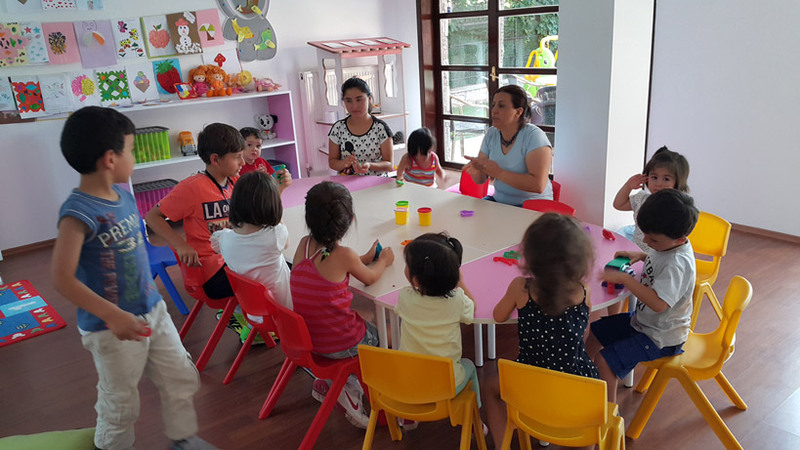 Dogafen Bahcelievler Private Kindergarten has been active since September of 2004 at Istanbul and Dogafen Incek Private Kindergarten has been of service since September of 2015. In our world, which has become more and more covered in concrete each day, or institution aims to provide education “at one with nature” and create inquisitive, thoughtful students who can communicate their thoughts with ease. With our motto; “every child should write their own story” we consist of 5 classes for each school, equipped with teachers who are experts in the field of Child Development. Alongside providing 2 foreign language classes, our school also gives students the chance to branch out with classes such as ceramics, ballet, music, dance, zumba and drama with workshops such as little carpenters and little gardeners. With the developmental tests and observations of our full-time senior psychologists we aim to provide a steady development of social, emotional and academic skills through cooperation with parents. At Dogafen Kindergarten, our senior psychologists and educators have carefully and considerately prepared each aspect of our educational foundation to meet your child’s social, emotional, psycho-motor, linguistic and cognitive development. With opportunities such as family seminars and workshops, Dogafen also aims to enhance, educate and support the family dynamic.